In large bowl, beat Cake ingredients with electric mixer on medium speed 2 minutes, scraping bowl occasionally. Pour into pan. Bake 28 to 30 minutes or until toothpick inserted in center comes out clean. Cool in pan on cooling rack 10 minutes. With handle of wooden spoon (1/2 inch in diameter), poke holes almost to bottom of cake every 1/2 inch, wiping spoon handle with paper towel to reduce sticking. 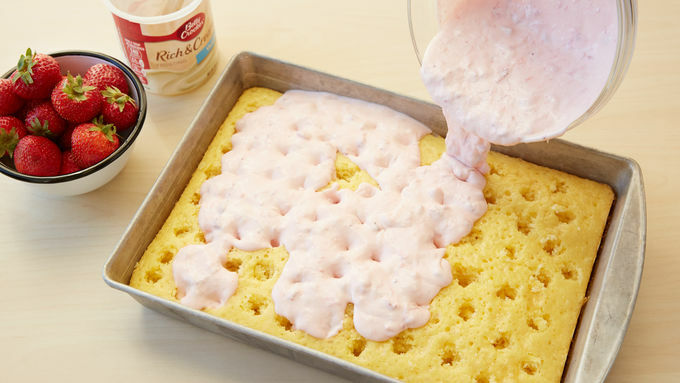 In medium bowl, beat frosting and mashed strawberries with spoon until well blended. 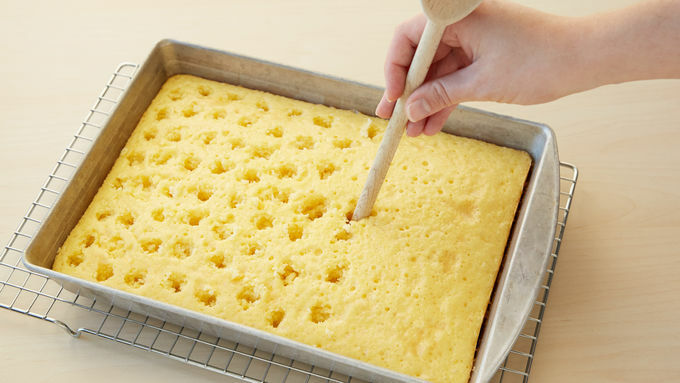 While cake is still warm, gently spread over cake; working back and forth to fill holes. (Some filling will remain on top of cake.) Refrigerate 2 hours. Spoon and spread whipped topping evenly over top of cooled cake. 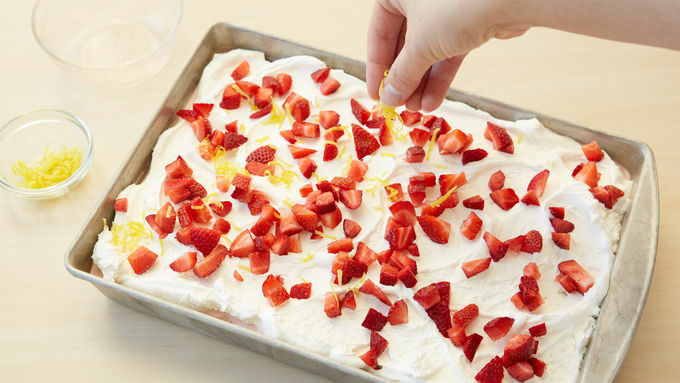 Sprinkle with chopped berries and 1 tablespoon lemon peel. Store loosely covered in refrigerator. 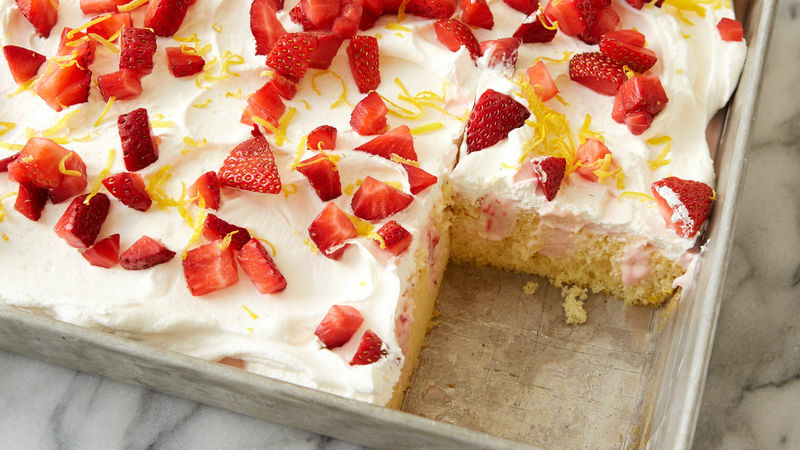 Be sure to poke cake 50 to 60 times so there is plenty of filling in the cake! To make quick work of mashing strawberries, try a potato masher! In small bowl, mash halved strawberries until broken down and almost smooth with no big pieces.